Spring is almost upon us and I've been trying to watch all the new winter shows, but I am only one woman and there are a LOT of TV shows. In any case, that's why streaming was invented. Premise: Big family. Big dark secret. I just watched the first episode of Bloodline, so this are truly my “1st impressions”. At first glance Bloodline looks like a Brothers & Sisters/ Parenthood type drama about a family of adult siblings. However, that is not the case. There is a twist. Through flashforwards we get bits and pieces that tell us something terrible is about to happen [that may or may not end in fratricide]. It’s all very exciting! I had no previous knowledge of this show other than the fact that Kyle Chandler [whom I heart] was on it. However, while I was watching I kept thinking I had seen it before. I finally concluded that Bloodline had the exact tone and structure of Damages. An IMDB check revealed that indeed it was created, written and produced by the same team [Glenn Kessler, Todd A. Kessler and Daniel Zelman]. Suddenly it all made sense. 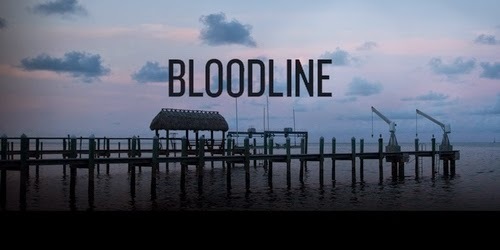 Just like Damages was more of a thriller than a lawyer show, Bloodline is a thriller/family drama which is an unusual and intriguing combination. Writing is solid, premise is gripping and the cast is top notch. Can’t wait to watch more. Should you watch it? Yes. That’s it. I am just hoping they can keep the momentum for more than 2 seasons [unlike Damages].By the way, this show was already picked up for a second season. Premise: A hot shot FBI agent moves to a small town to put order in their police department. In other words: It’s a cop show [a CBS cop show]. Verdict: I kind of liked it, which means CBS is most certainly going to cancel it [It happened with Golden Boy, Intelligence and more. I am surprised Person of Interest is still on]. I watched this against my better judgement because 1) I don’t usually watch cop shows [especially if they are on CBS] and 2) The ratings have been awful [by CBS standards] so this is going to get axed [98% sure of that]. However… I like Dean Winters. I really really like Dean Winters. Loved him on Terminator and 30 Rock and don’t tell me those AllState Mayham commercials are not funny. But for the people who don’t share my love for Dean Winters, let’s talk about Battlecreek. I thought it was a pretty solid cop show. It has a lot of humour, it has a fun odd pair, good dialogue, interesting cases, good cast. It reminded me of the other quirky detective new show this year Backstrom [which is also headed for cancellation-ville]. Unfortunately… at the end of the day it is a franchise-free cop show and those have a tough life on CBS [maybe they should have tried working ‘CSI’ in the title]. Premise: A lesbian and her male best friend agree to have a baby together if neither is married by the time they are 30. It’s basically My Best Friend’s Wedding meets Will & Grace. It all goes according to plan until the leading man meets a lovable alien [as in foreign] girl, falls in love and green-card marries her. So it turns out into a show about “A guy, a lesbian, a British girl and a baby” A.K.A. “One Big Happy” [slightly dysfunctional family]. Verdict: Yeah… I could get into this. Having said that, I don’t dislike Elisha to the point of not wanting to watch because of her. But… I think the show could be so much better with a genuinely funny leading lady. Should you watch it? Yes, at least give it a go. Premise: A young doctor in training is turned into a Zombie who has visions every time she eats brains. Logically she becomes an M.E. and teams up with a cop to fight crime. It’s so crazy, it is cool. Verdict: Since Mark Pedowitz already renewed my favourite CW show, I no longer have conflicting emotions about this show and I can come clean and say that… I kinda love it. The nature of the show allows a procedural element. Liv pretends to be a psychic and teams up with a Rookie detective, Clive Babineaux, and together they solve crimes. “Cagney and Pastey” as Clive puts it. So you have your mystery of the week and the serialized tension of Liv’s undead young adult life; plus an endless supply of punchy one-liners. Throw in an Alias/Heroes alum (David Anders) as a baddie and you’ve just created a show I can love. The only criticism I can see coming for the show is that it is not “zombie” enough, not gory enough. I understand that fans of gore may be disappointed… however I think we have to see it for what it is: “A female-driven supernatural procedural dramedy”. This show will be more in the vein of Veronica Mars [and even Buffy, as some have been pointing out] than The Walking Dead, that is for sure. Full disclosure. I love Tina Fey. Like I really love Tina Fey… So I was predisposed to love this show [better than being predisposed to hate something I guess]. And after watching almost all the episodes in less than a week, I can conclude that indeed I love it. 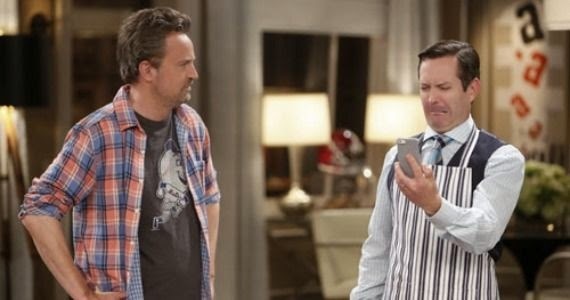 Kimmy felt like a breath of fresh air after all the new comedies I’ve seen this year that range from unexciting (Selfie) to flat-out awful (The Odd Couple). I love Ellie Kemper since her days in The Office and she is a wonderful choice to play the naïve, yet courageous leading character. 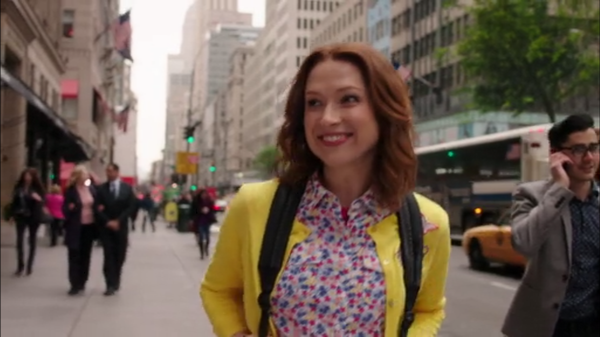 Much like Tina’s previous show, 30 Rock, Unbreakable Kimmy has that quintessential New Yorker feel and she manages to balance just the right amount of cynicism and heart. Should you watch it? OK… I am going to be honest. This type of comedy is not for everyone. You have to be able to handle a high level of quirk and be ready to follow all the TV/movie/pop-culture references. So if more traditional comedy in the vein of The Big Bang Theory is your thing, it’s possible you may not like this [but I’d still suggest you try it]. On the contrary, if you loved 30 Rock and other kookie comedies like Arrested Development, Community and Episodes… Unbreakable Kimmy is definitely for you! And you will be rewarded with plenty of 90s pop culture references and awesome guest stars like Breaking Bad’s Dean Norris [an acting coach who teaches gay guys to “straight it up”] and wait until you see who plays the Cult leader! Verdict: Release Yvette so she can go back to Community! Matthew Perry is funny, all right? We already knew that… Wendell Pierce, Yvette Nicole Brown, Dave Foley and Leslie Bibb? Also funny. The show however? Not the greatest comedy by far… This must be some sort of record for a sitcom… I watched the entire pilot and didn’t laugh out loud once. I smiled on a few occasions, but just because the actors had good deliveries. And yes… in a comedy, the cast can make it or break it. But at some point you need good material. The Odd Couple felt very dated [it IS a remake after all] and the jokes were average at best. Should you watch it? I’d say no, unless you are a huge fan of one or several cast members. Premise: An Asian family moves to Orlando to run a restaurant. Verdict: It’s OK… especially compared to the other new comedies that came out this year. I am a little unsure on how to review this show. I really can’t tell how offensive it is. It is a thin line to cross and I am not sure they are funny enough to get away with all the stereotyping… So, what I am going to do is distance myself from the “minority portrayal” issue. Let’s forget this show is about an Asian family and think about it just as a family show. When I look at it from that point of view, there is some sweetness to it. A family trying to honor their culture while surviving in a strange and often confusing land. This may not be the greatest comedy ever made but the show did make me laugh [the leading actress Constance Wu is really funny]. Should you watch it? I don’t feel confident enough to recommend it, but I wouldn’t judge you for watching either. I may even catch one or two more eps. Premise: Big family, middle age crises, a kid gets slapped. So yes… this show is about an actual “slap”, that’s not a metaphor. I am not sure what happened here, but the show has more stars than a bad Valentine’s Day movie. We have movie actors like Thandie Newton, Uma Thurman, Alexander Saarsgard and veteran Brian Cox. Plus lots of familiar TV faces like Thomas Sadoski (The Newsroom), Melissa George (Alias, Hunted, Thieves), Penn Badgley (Gossip Girl) and Zacchary Quinto (from Heroes, whom I guess we can also call a movie star nowadays). The cast seems a little too big for a midseason-not-particularly-well-promoted NBC show. But let’s forget about the cast. What about the show? I actually thought it was quite good. The Slap basically deals with an extended family; each member going through different professional and personal issues. We have the free-spirited parents who don’t discipline their kids [resulting in the infamous ‘slap’], the “cougar-writer” dating a young actor, the overworked couple and the flirty nanny who also happens to be the star of the leading man’s fantasies. I believe this show is a great addition to NBC’s line-up. It fills up the void left by Parenthood. It would definitely appeal to a similar audience than the recently departed family drama [although I felt it had a bit more edge and had hints of American Beauty at points]. It’s a much better take on the middle age crisis than USA’s somewhat lackluster Satisfaction. Should you watch it? Yes, especially if you liked Parenthood. I think this drama has lots of potential. It’s no secret I LOVE spy shows [just do a search and see how often I mention Alias on any unrelated blogpost]. I would normally be thrilled about a show with a premise like this. Plus the cast is full of familiar faces that go from Lorelai’s boyfriend (Gilmore Girls) to the real Emily Thorne (Revenge) and Boris from Royal Pains. So… what’s the problem with Allegiance? Well… the premise. The premise is just TOO similar to one of the main plots on The Americans [where the teenage daughter of the main protagonists is tapped to be recruited by the KGB]. At the same time, I understand these are two very different shows and that we shouldn’t necessarily compare them. The Americans takes place during the Cold War while Allegiance is a present day show. The Americans is a full-on gritty cable show while Allegiance is more of a family drama with spy elements. But… comparisons are inevitable. Allegiance is a cool enough show and I am enjoying it so far, but thinking about the cooler, grittier Americans while watching is next to impossible. Should you watch it? Yes. Especially if you are a fan of the spy genre. I think it is good enough to watch, but… don’t get too attached. 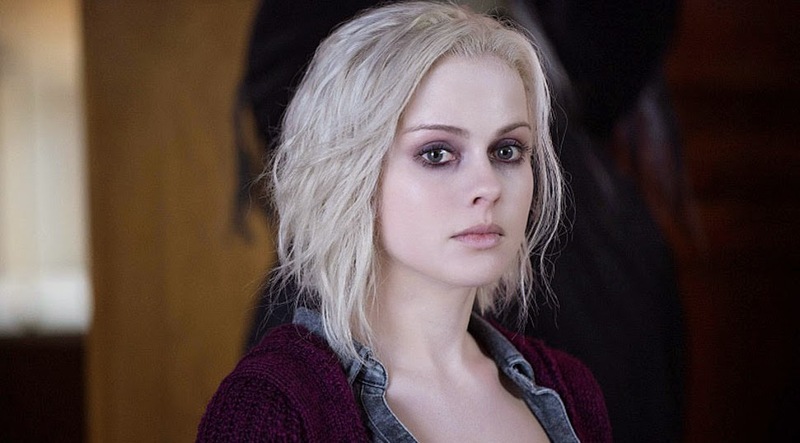 Judging from the ratings (I hope they hold) iZombie might get renewed as well.... I wish they hadn't renewed EVERYTHING already... I can think of a couple of CW shows I would "un-renew"
Haha well it seems as though the one part I thought was 'bland' (her delivery), you thought was spot-on! Lol. But as I said on Twitter, did enjoy the show & it would be nice to see it do well....if the CW can make room!